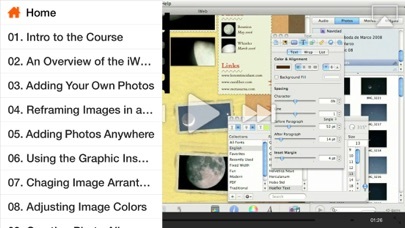 Over 2 hours of iWeb '11 tutorial-videos in this video tutorial app! You don't have to be a coder to make great web pages - with iWeb '11, all you need is the ability to drag and drop graphics, plus a little creativity, and you can publish your digital life for all the world to see. 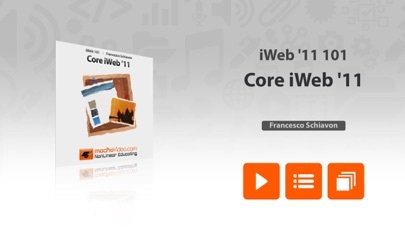 In this tutorial, Star macProVideo.com trainer Francesco Schiavon takes you through the ins and outs of creating dynamic web pages in iWeb '11. 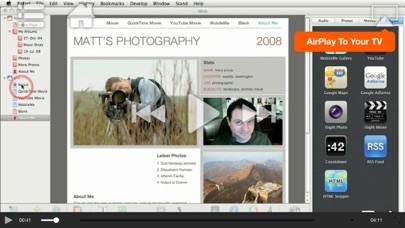 Francesco begins the tutorial by showing you how to combine images and photos to make a web page. You'll learn how to import photos to your project, change colors, add albums, and arrange and align photos to make an attractive page layout. Of course, most web pages need more than images to get their point across. 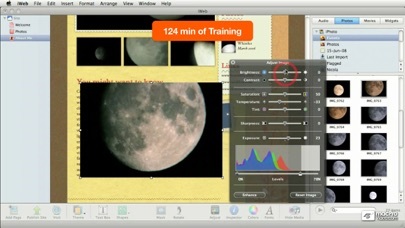 With that in mind, Francesco moves on to show you how to add and format text to display written information. You'll also learn how to embed both audio and video files into your web pages, and even create interactive blogs to get your message out there. Once your web page is ready, it's time to publish it on the Internet. The final sections of this tutorial demonstrate how to publish your web page to a server using FTP, and also how to use MobileMe to put your site on the web. 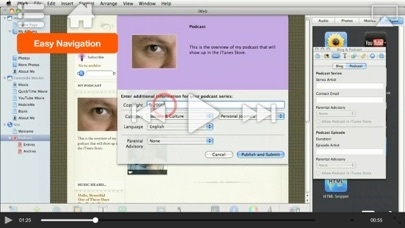 As an added bonus, you'll also learn how to create and publish Podcasts on iTunes!